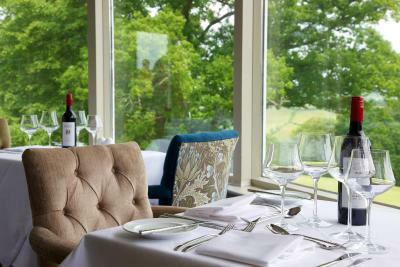 Lock in a great price for Highbullen Hotel, Golf and Country Club – rated 8.9 by recent guests! Bed breakfast and dinner excellent value. Meals all taken in the Devon restaurant excellent. Staff was mostly great, the receptionist in particular was incredibly nice and helpful. 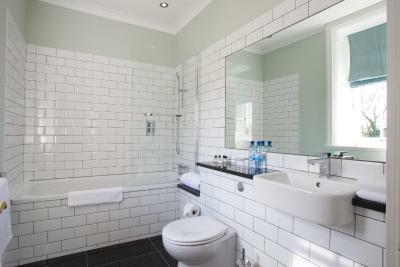 Room and bathroom were spacious and done to high standards. Spa facilities were good. Spacious room in the grounds. Beautiful views at breakfast. Great facilities. loved our room and the beautiful view from the patio outside our patio doors. The peace and quiet of the place especially where we were in room 90. hope you dont spoil the place with planned building of other lodges etc. Staff excellent,unabod to Pool and gym were excellent. Laura Ashley afternoon tea absolutely delicious. Good sized Bedroom , very comfy bed and spotless bathroom. Very tasty breakfast with a good menu. location was very beautiful food was lovely and great service great to be a lone traveler lots of parking beautiful building a little bag of goodies when you leave! Very helpful and friendly staff. Very good evening meal in the bar and breakfast was great with outstanding views. Very friendly and efficient staff. Wonderful location and facilities. Could not fault a thing! Clean warm homely. Fantastic attention to detail. Fab staff. Amazing grounds. Spa facilities gorgeous. Lovely views. Highbullen Hotel, Golf and Country Club This rating is a reflection of how the property compares to the industry standard when it comes to price, facilities and services available. It's based on a self-evaluation by the property. Use this rating to help choose your stay! In 127 acres of stunning grounds, this country house hotel has an 18-hole golf course with beautiful views towards Dartmoor and Exmoor. There is free Wi-Fi and free parking, and Dartmoor National Park is 25 miles away. 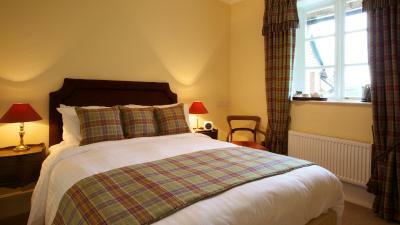 Highbullen Hotel has vaulted brick ceilings and stone walls, and offers luxurious rooms furnished with antiques. Many rooms have picturesque views and all have satellite TV and facilities for making tea and coffee. You can play a round on Highbullen's golf course or the all-weather tennis courts for an additional charge, and the swimming pool and gym are complimentary. 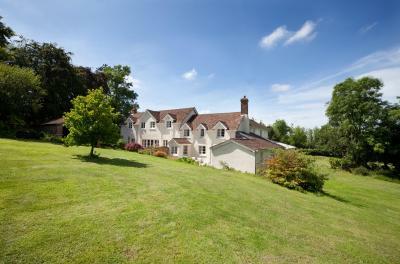 There is a croquet lawn and open woodland for children to play in and explore. Fresh Atlantic fish and locally reared meat both feature on the menu in the Devon View Restaurant, which offers creative seasonal dishes. A full cooked breakfast is provided each morning. 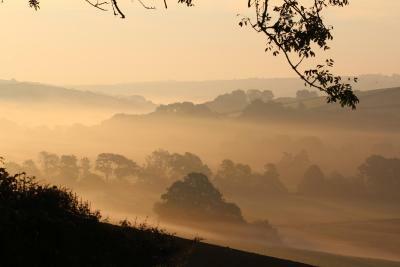 South Molton is a 15-minute drive from the hotel, and Barnstaple is 25 minutes away by car. The nearest North Devon beach at Westward Ho! is 20 miles away. 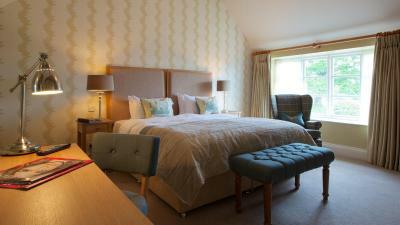 When would you like to stay at Highbullen Hotel, Golf and Country Club? These rooms are located in the annex buildings of the hotel (formerly farm buildings) and are not connected to the main house. You can drive your car to your front door after check in. Slightly larger than the standard rooms. Large family room located in the cottage area of the hotel, with a TV, tea/coffee facilities, direct-dial telephone, and work desk. 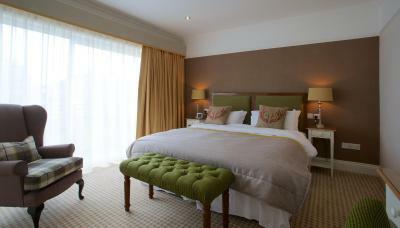 This private 2-bedroom suite is located within The Manor House. It has its own private sauna and steam room, a 3D HD TV, and a second bedroom for either children or just relaxing. 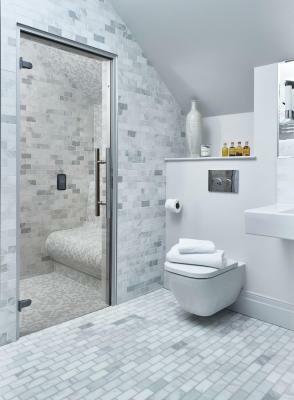 Additional features include a docking station, Wii games console and free-standing bath tub within the main bedroom. These rooms are located in the annex buildings of the hotel. This double room has a sofa, seating area and electric kettle. This double room has a satellite TV, seating area and electric kettle. House Rules Highbullen Hotel, Golf and Country Club takes special requests – add in the next step! Highbullen Hotel, Golf and Country Club accepts these cards and reserves the right to temporarily hold an amount prior to arrival. It was very, very quiet, no atmosphere in the bar area which is tucked away. Rather far away from anywhere, cost £20 each way to a pub about 6 miles away. Unable to use Spa, fully booked all week, book before arrival. Breakfast magnificent: Location perfect: Facilities good: Staff friendly & helpful but not intrusive: Comfort & ambience excellent. We were able to have drinks at 1.30 am in the reception area!" Well designed. Room perfect for our needs. Leisure facilities just lovely. Dog friendly. Food fabulous. Staff couldn’t be more helpful. Rooms a little tired and dated in the main hotel. No main bar area in main hotel just the Cellar bar with limited draught products on offer. Should have pre-booked spa treatments as no availability. One staff member was a little rude. Clean, comfy and beautiful. Most staff were absolutely lovely. Slippers at the jacuzzi/ swimming pool. My partner was a bit upset that their wasn't slippers or some sort of feet protection. Breakfast was good, the fact that you had the opportunity to pick your own variety on the menu really scored higher then usual. Beautiful old immaculate building in a fantastic setting. Difficult to locate - the hotel is called High Bullen but there is also a place a few miles away with the same name...watch the satnav with caution. Main menu expensive and bar menu needs more variety. Everything was wonderful, we couldn't fault a thing. 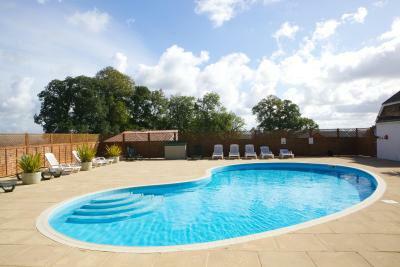 The leisure facilities were excellent, the garden room was huge and had every comfort - such good value for money. The views are incredible and the food divine. We greatly enjoyed our weekend and would love to come back.